Highly directional transmissions are essential for cellular communication in mmWave frequencies to compensate for higher isotropic path loss. This reliance on directional beamforming, however, complicates initial cell search since mobiles and base stations must jointly search over a potentially large angular directional space to locate a suitable path to initiate communication. In this work we propose an initial access procedure where base stations periodically transmit synchronization signals, potentially in time-varying directions, to scan the angular space randomly or sequentially. Five different design options are compared considering different scanning, beam forming methods and signaling procedures to evaluate access delay, detectability range and system overhead. Detectors for these signals are derived based on a Generalized Likelihood Ratio Test (GLRT). The detectors are then simulated under realistic design parameters and channels based on actual experimental measurements at 28 GHz in New York City. The study reveals two key findings: 1) digital beamforming can significantly outperform analog beam- forming even when digital beamforming uses very low quantization to compensate for the additional power requirements and 2) omnidirectional transmissions of the synchronization signals from the base station generally outperform random directional scanning. I. K. Jain, R. Kumar, S. Panwar, “Limited by Capacity or Blockage? A Millimeter Wave Blockage Analysis,” e-print in arXiv.org:1808.01228, Aug. 2018. S. Rangan, M. Mezzavilla, T.S. Rappaport, M. Polese, A. Zanella, A. Dhananjay, C. Kessler, M. Zorzi, “Public Safety Communications above 6 GHz: Challenges and Opportunities,” in IEEE Access, vol. 6, pp. 316-329, 2018. 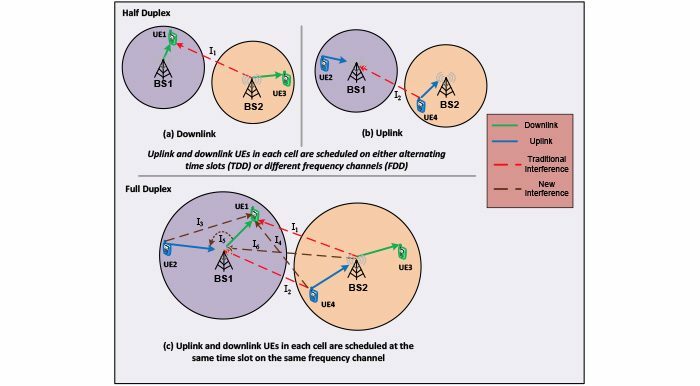 F. Gómez-Cuba, E. Erkip, S. Rangan and F. J. González-Castaño, “Capacity Scaling of Cellular Networks: Impact of Bandwidth, Infrastructure Density and Number of Antennas,” in IEEE Transactions on Wireless Communications, vol. 17, no. 1, pp. 652-666, Jan. 2018. M. Rebato, F. Boccardi, M. Mezzavilla, S. Rangan and M. Zorzi, “Hybrid Spectrum Sharing in mmWave Cellular Networks,” in IEEE Transactions on Cognitive Communications and Networking, vol. 3, no. 2, pp. 155-168, June 2017. R. Kumar, R. Margolies, R. Jana, Y. Liu, and S. Panwar, “WiLiTV: Reducing Live Satellite TV Costs using Wireless Relays,” in IEEE Journal on Selected Areas in Communications Special Issue on Advances in Satellite Communications, June 2017. G. R. MacCartney, Jr. and T. S. Rappaport, “A Flexible Millimeter-Wave Channel Sounder with Absolute Timing,” IEEE Journal on Selected Areas in Communications, vol. 35, no. 6, pp. 1402-1418, June 2017. S. Goyal, M. Mezzavilla, S. Rangan, S. Panwar and M. Zorzi, “User Association in 5G mmWave Networks,” 2017 IEEE Wireless Communications and Networking Conference (WCNC), San Francisco, CA, 2017, pp. 1-6. G. R. MacCartney, Jr. and T. S. Rappaport, “A Flexible Wideband Millimeter-Wave Channel Sounder with Local Area and NLOS to LOS Transition Measurements,” in 2017 IEEE International Conference on Communications (ICC), Paris, France, May 2017, pp. 1-7. P. A. Eliasi; S. Rangan; T. S. Rappaport, “Low-Rank Spatial Channel Estimation for Millimeter Wave Cellular Systems,” IEEE Transactions on Wireless Communications, vol. 16, no. 5, pp. 2748-2759, May 2017. R. Kumar, R. Margolies, R. Jana, Y. Liu, S. Panwar, “WiLiTV: A Low-Cost Wireless Framework for Live TV Services,” 2017 IEEE Conference on Computer Communications Workshops, May 2017. S. Dutta, M. Mezzavilla, R. Ford, M. Zhang, S. Rangan, M. Zorzi, “Frame Structure Design and Analysis for Millimeter Wave Cellular Systems”, IEEE Transactions on Wireless Communications 16.3 (2017): 1508-1522. C. N. Barati, S. A. Hosseini, M. Mezzavilla, S. Rangan, T. Korakis, S. S. Panwar, M. Zorzi, “Initial Access in Millimeter Wave Cellular Systems,” in IEEE Transactions on Wireless Communications, vol. 15, no. 12, pp. 7926-7940, Dec. 2016. S. Rangan, P. Schniter, E. Riegler, A. K. Fletcher, V. Cevher, “Fixed Points of Generalized Approximate Message Passing with Arbitrary Matrices,” in IEEE Transactions on Information Theory, vol. 62, no. 12, pp. 7464-7474, Dec. 2016. F. Boccardi et al., “Spectrum Pooling in MmWave Networks: Opportunities, Challenges, and Enablers,” in IEEE Communications Magazine, vol. 54, no. 11, pp. 33-39, November 2016. 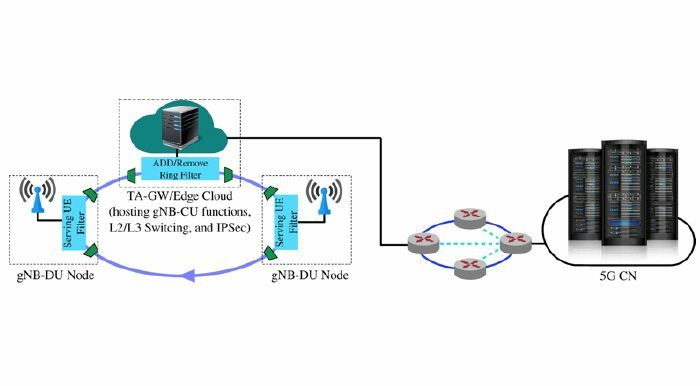 M. Giordani, M. Mezzavilla, S. Rangan, M. Zorzi, “Uplink-Based Framework for Control Plane Applications in 5G mmWave Cellular Networks,” submitted to IEEETransaction on Wireless Communications. M. Rebato, M. Mezzavilla, S. Rangan, M. Zorzi, “The Potential of Resource Sharing in 5G Millimeter-Wave Bands”, IEEE Communications Magazine. R. Ford, F. Gómez-Cuba, M. Mezzavilla, S. Rangan, “Dynamic Time-domain Duplexing for Self-backhauled Millimeter Wave Cellular Networks”, IEEE ICC BackNets, 2015. M. Rebato, M. Mezzavilla, S. Rangan, M. Zorzi, “Resource Sharing in 5G mmWave Cellular Networks”, 2016 IEEE Conference on Computer Communications Workshops (INFOCOM WKSHPS), San Francisco, CA, 2016, pp. 271-276. M. Polese, M. Mezzavilla, M. Zorzi, “Performance Comparison of Dual Connectivity and Hard Handover for LTE-5G Tight Integration in mmWave Cellular Networks,” Master Thesis – University of Padova, July 2016. A. Fletcher, M. Sahraee-Ardakan, S. Rangan, P. Schniter, Expectation Consistent Approximate Inference: Generalizations and Convergence 2016 IEEE International Symposium on Information Theory (ISIT), Barcelona, 2016, pp. 190-194. P. Schniter, S. Rangan and A. K. Fletcher, “Vector approximate message passing for the generalized linear model,” Proc. IEEE Asilomar Conference on Signals, Systems and Computers, Pacific Grove, CA, 2016, pp. 1525-1529. R.W. Heath, N. González-Prelcic, S. Rangan, W. Roh, A. Sayeed, Introduction to the Special Issue on Signal Processing for Millimeter Wave Wireless Communications. IEEE Journal of Selected Topics in Signal Processing. 2016 Apr;10(3):433-5. T. S. Rappapor, S. Deng, “73 GHz wideband millimeter-wave foliage and ground reflection measurements and models,” IEEE International Conference on Communications Workshops, ICC Workshops, 2015. Random Access Channels,” Proc. Wavelets XIII, San Diego, CA, pp. 744607-[1-15], August 2009. Random Access Channels,” Proc. IEEE Int. Symp. Information Theory (ISIT), Seoul, South Korea, pp. 169-173, June-July 2009.